Peyman Koshkebaghi Bahá’í Citizen was arrested and transferred to an unknown place. 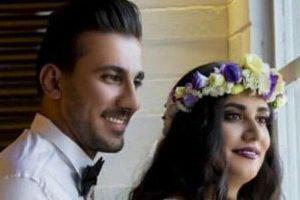 “BaháíNews” reported Peyman Koshkebaghi was arrested in front of the eastern part of Evin Prison, while attempting to visit his spouse, Mrs. Azita Rafizadeh. 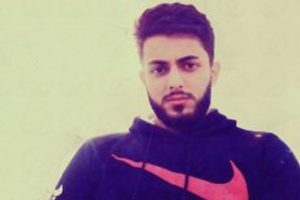 According to the report, the Baha’i citizen was arrested and transferred to an unknown location before he was sentenced to five years in prison. 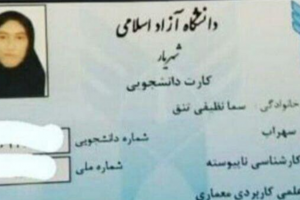 According to “BaháíNews”, Azita Rafizadeh, a Bahá’í citizen and instructor at the Bahá’í Institute for Higher Education (BIHE), was sentenced to four years in prison because of teaching Bahá’í youth, and is currently serving her sentence in Evin Prison. Her spouse, Peyman Koshkebaghi, has been sentenced to five years in Rajaee Shahr Prison. It should be mentioned that the son of these two Bahá’í citizens is only six years old. 1. “BahaiNews” is an independent non-Bahá’í initiative and is not affiliated with any Baha’i institutions.